Gosh, Animal Crossing: Pocket Camp (Free) is on a tear with these events, isn’t it? For most of December, players were collecting candy canes in exchange for special Christmas goodies. Then, as the New Year approached, it was special fortune papers that needed to be gathered, this time for some cool Japan-inspired New Year’s items. 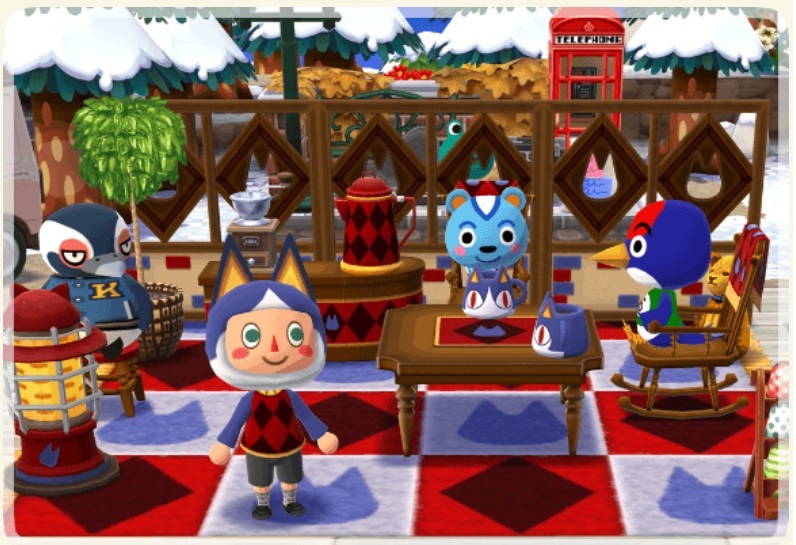 With January 1st well behind us now and Valentine’s at least a month away, what can Animal Crossing possibly offer up to keep players interested? Butterflies, friends. No one ever suspects the butterflies. Well, I suppose there’s a little bit more to it than that. If you’ve ever played any of the usual Animal Crossing games, you probably remember Rover. He’s that little blue-ish cat that meets you on the train as you roll into town for the very first time in each game. Usually, he asks you questions that determines some of your avatar’s attributes. Pocket Camp skipped out on that cute bit of set-up, leaving some to wonder when and if ol’ Rover would show up. I don’t want to totally spoil the mystery here, but the new event is called Rover’s Garden Safari, so… I guess I just totally spoiled the mystery here. Oh well. The thing about the previous two Pocket Camp events is that for all intents and purposes, they involved doing the exact same things you would normally do while playing. Candies and fortunes were slapped on as bonuses for fulfilling standard requests from animals, and all you did with those items was use them as special crafting ingredients. Sure, the themed items were fun to collect and display, but the gameplay spice that the core Pocket Camp experience could desperately use just wasn’t there. Then there’s the new gardening feature, which presented some new gameplay concepts but seemed to be missing that something-something that made it fun to pursue. Rover’s Garden Safari takes aim at both of those issues. This event, which runs until January 22nd, has you planting special flowers in your garden. When those flowers bloom, there’s a chance that they will attract some rare butterflies. You’ll need to catch those butterflies to fulfill Rover’s many requests, with each filled order producing a special item as a reward. You can also share those butterflies with your friends in order to get even more rewards from Rover. There are also some special limited-time goals you can accomplish that will get you various goodies including Leaf Tickets. All of this special gardening stuff will only last as long as the event does, with any extra butterflies and flowers being converted into bells when all is said and done. So, you know, smoke those butterflies while you’ve got them. The event kicked off today, with the first part running through to January 17th. After that, the second part will begin, concluding on January 22nd. Since this involves doing tasks outside of the normal Pocket Camp life, you’ll have to hustle a little bit to earn all of the prizes on offer. But it’ll all be worth it when you can deck out your trailer and campsite with those sweet Rover items. Probably.